Hello, Gorgeous! : Catch Bliss Boutique Aztec Sweater Giveaway!! As I mentioned in my last post, life has been a little hectic lately. As I catch up on my outfit posts from the last week (which you can see in real time on my Instagram account!! ), I am thrilled to host a fabulous giveaway from Catch Bliss Boutique!! A lot of you saw me wearing this gorgeous aztec sweater in my Instagram outfit photos last week and inquired where this delectable piece was from because you couldn't wait to get your hands on it. Well, it's from Catch Bliss Boutique, and one lucky winner will win it in this amazing giveaway!! So, lace up your boots and use the Rafflecopter app below to enter to win this eye-catching sweater. The small print: Giveaway ends on Thursday October 3rd and is open to U.S. residents only. Winner must claim prize within 48 hours. If prize is left unclaimed within this time, a new winner will be chosen. I would love to style this with black jeans with a little blink on the side seams and a black shell...and of course some knee high black boots! LOVE LOVE LOVE this! Girl I'd copy and style it like you did for work! On the weekends I'd pair it with leggings, boots, and a statement necklace! This would look amazing with leggings and boots!! Love it!!! I would wear it with skinny jeans and my black ballet flats! I would wear it with my burgundy top and my white skirt with frills at the end of the skirt. Theres so many to make this sweater be adorable on anyone! I would wear my grey F21 skinnies ( because I've been wanting to style them for a while), a classic b/w stripped shirt underneath, and some comfy flats. The jewelry would be low-key, like a simple gold necklace. I would style this with skinny jeans and boots! It would be perfect with leggings and boots! I'm loving black + white this fall. I would wear this with a cute tank and skinny jeans. I love how you styled it! Though it would also look fabulous belted with boots and leggings. Great giveaway! This would go perfectly with skinny jeans or leggings and boots. Or a skirt! I adore this sweater!! I would style it with some skinny jeans and grey vneck, or my black skirt with a burgundy button-down. The options are endless! Black leggings, riding boots, and belt. So amazing! I'd probably rock this open over shorts and a crop top (I live in S. Florida, our Fall is a lot like our Summer) to hit the beach at sunset with friends. 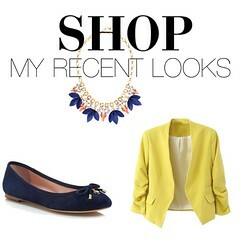 Lots of ways to style this! I think skinny jeans or leggings with high boots when the weather turns really cold. But I love it with a jean skirt and flats also! I like how you're wearing it with a belt, so I would probably do that with some skinny jeans and booties. I would love to wear this with a fun dress and some colorful tights! With skinny jeans and boots or a pencil skirt and boots! love this sweater! I would wear it the some skinny jeans and uggs or flats depending on the day! :) Happy Tuesday! I've been eyeing this sweater since you posted it awhile ago--would love to throw it on with a black tank and my red skinnies! Perfect cozy winter sweater. I would wear it exactly as you've styled it to work. I even have the shoes. A skinny jean option would be nice too. I would wear this with my light wash destroyed skinny jeans and a pair of brown knee high boots with just a simple necklace. I would pair this with skinny jeans and boots or leggings and flats. Great giveaway, thanks! Love this!! I would wear with skinny jeans and riding boots!! Such a cute sweater! I love how you styled it too, I'd likely do something similar. this is soooo adorable!!! id love to have this! Id pair it with depending on the day skinny jeans or leggings and of course riding boots!! I would definitely pair with skinny jeans, boots, and a chambray or plaid shirt for a casual day look :) it looks so comfy! So cute! Wouldn't have thought to style it for work! Wow, that sweater is beautiful and looks so cozy! Absolutely love this sweater! I think it is perfect exactly how you have it, belted with a pencil skirt! Perfect for a fall day in the office! SO, since I live in Florida, I won't be able to wear this until about January. But it looks so cozy, and stylish at the same time! I may even rock it with some jean shorts and boots! Florida Style! Gorgeous - I want this! I would pair that sweater with a black t-shirt, skinny jeans and my cognac colored boots! I would style this with a black tank, J-Brand skinny jeans in a dark wash, a statement necklace, and red heels for a pop of color. Love, love love it! I'd do black boots and leggings and a black belt. I'd style this with jeans and a pair of cognac over the knee boots. This sweater SCREAMS skinny jeans and boots! love it so much! black leggings and combat booties for sure! I would style this with a jewel tone dress, black leggings, some awesome high boots and a simple long necklace. I love this sweater! i would wear this with leggings and riding boots! Definitely with leggings/skinny jeans and boots! I love how you styled it. I would probably wear it the same way! With jeans it would be SO SO cute too! The first thing I thought of was to wear it with my black skinnies and riding boots. So cozy for fall! I'd wear this sweater over my LBD with a belt, or I would make snuggly outfit with skinny jeans and my favorite boots. I'd wear it with jeans and boots for fall, or a cute dress and leggings! Skinny jeans and riding boots! Love it! This would look great with a black dress, black tights, and boots. I teach 6th grade English and my kids would absolutely LOVE this! But I love it how you have it styled as well, with a belt and basics! I LOVE leggings with sweaters! And boots! SOOOOO amazing for my bohemian inspired fall!!! I would just wear it with jeans, a plain tee and cute flats! the belt just makes the sweater so flattering! I've been looking for a sweater like this one! Paired with a chunky scarf for a relaxed look would be so cute!! with leggings, booties and some big earrings :) love your blog, you always give me great fashion ideas to wear to work. thanks for the giveaway! Saragossa Jackets: one-of-a-kind, reversible jackets made from upcycled vintage saris with kantha hand stitching. To get more information : http://www.saragossafashion.com/product-category/long-jacket-3x/ .